Hig somehow survived the flu pandemic that killed everyone he knows. Now his wife is gone, his friends are dead, and he lives in the hangar of a small abandoned airport with his dog, Jasper, and a mercurial, gun-toting misanthrope named Bangley. But when a random transmission beams through the radio of his 1956 Cessna, the voice ignites a hope deep inside him that a better life exists outside their tightly controlled perimeter. Risking everything, he flies past his point of no return and follows its static-broken trail, only to find something that is both better and worse than anything he could ever hope for. 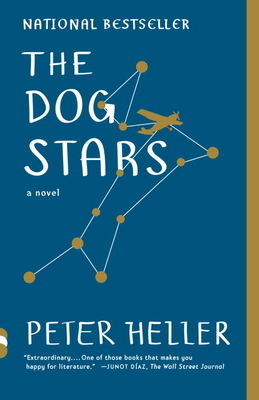 PETER HELLER is the best-selling author of three novels, including The Painter and Celine. He holds an MFA from the Iowa Writers' Workshop in both fiction and poetry. An award-winning adventure writer and a longtime contributor to NPR, Heller is a contributing editor at Outside magazine, Men's Journal, and National Geographic Adventure, and a regular contributor to Bloomberg Businessweek. He is also the author of several nonfiction books, including Kook,The Whale Warriors, and Hell or High Water: Surviving Tibet's Tsangpo River. He lives in Denver, Colorado.